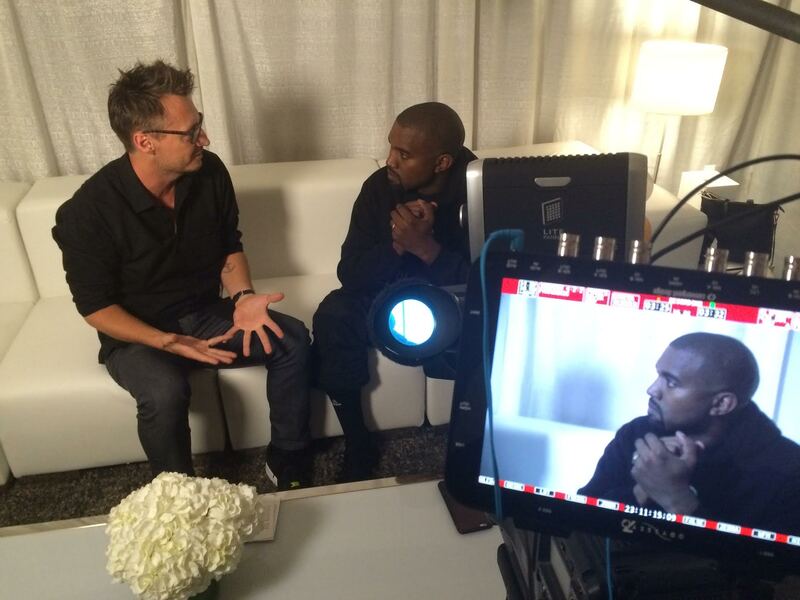 We shot a one-camera sit-down interview for E! 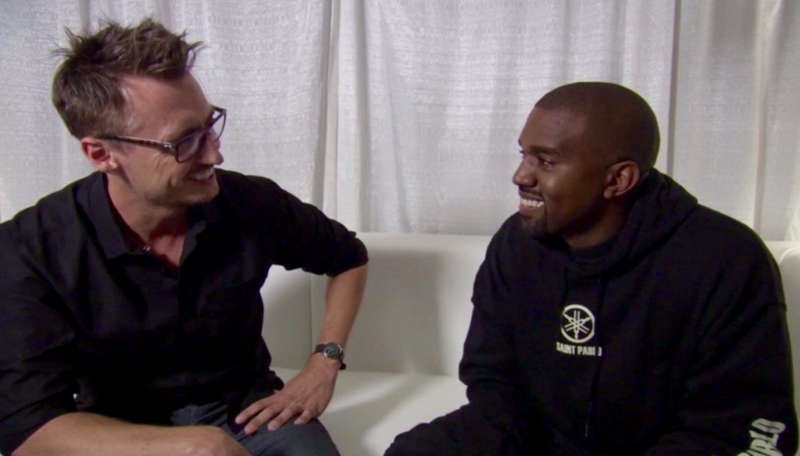 News with Kanye West about the first night of his 2016 Saint Pablo Tour. His tour is making headlines in the entertainment world because of his innovative and impressive “Floating Stage”. 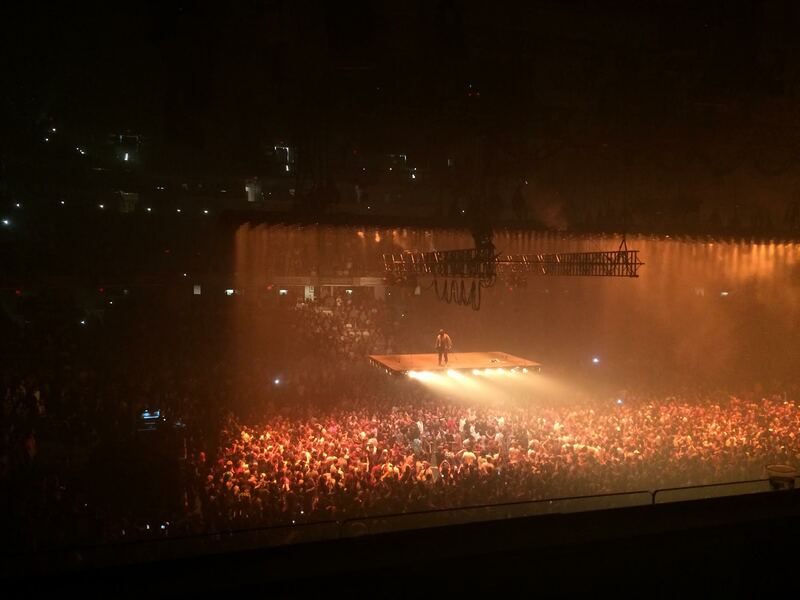 For his 2016 tour, West will be performing the show on a platform that is suspended 20 feet above the crowd. The effect of having a single performer standing alone above his audience is pretty awe-inspiring. After the show we went backstage to West’s dressing room where we sat down with him and shot a 15-minute interview about the show and the rest of the upcoming tour, his inspiration, his family, and his future plans. I shot the interview on a Panasonic HDX-900. After the interview was finished I went to a nearby local TV station and fed the footage back to E! so it could be aired the next day! The show was held in Indianapolis, IN at the Banker’s Life Fieldhouse.